Umm Al Qurra University was recognised by an Excellence Award in recognition for Hajj Research by CBHUK, a British Hajj & Umrah charity during Hajj 2016. 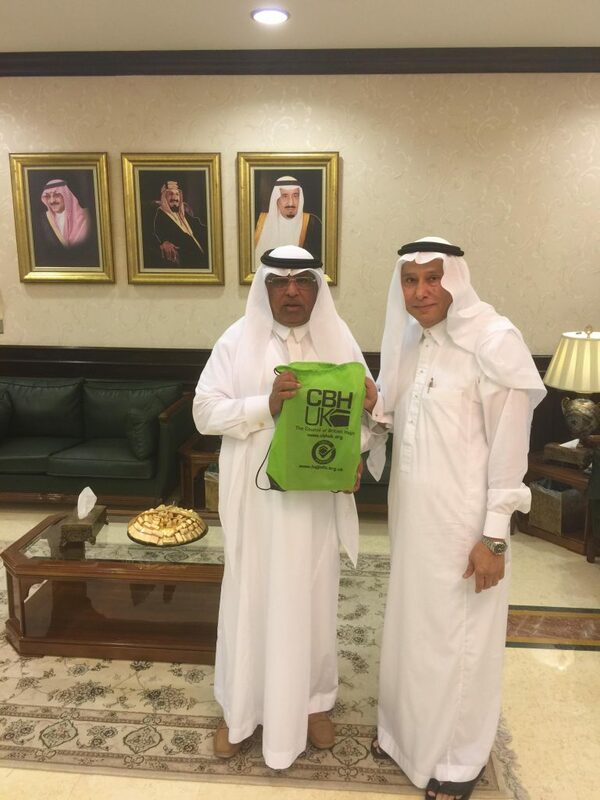 The award was presented to Prof Ramze Elzahrany by the CEO of CBHUK, Mr Rashid Mogradia at the Makarem Hotel in Makkah. 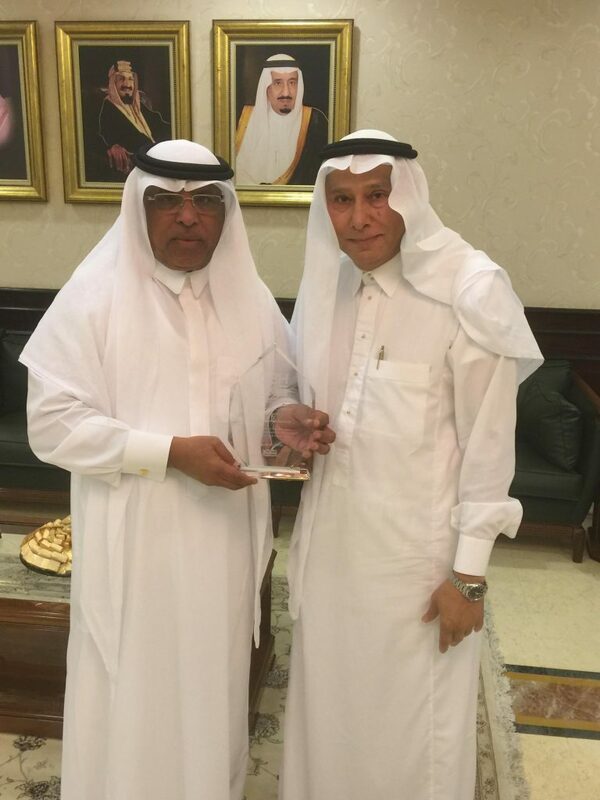 Professor Elzahrany was humbled to receive the award which was later presented on behalf of CBHUK by Dr Meraj Mirza (UQU) to the President of Umm Al-Qura University Dr. Bakri bin M’atooq bin Bakri Assas who acknowledged and thanked CBHUK for the award. Future collaboration was discussed between the two organisations in serving the guests of God. 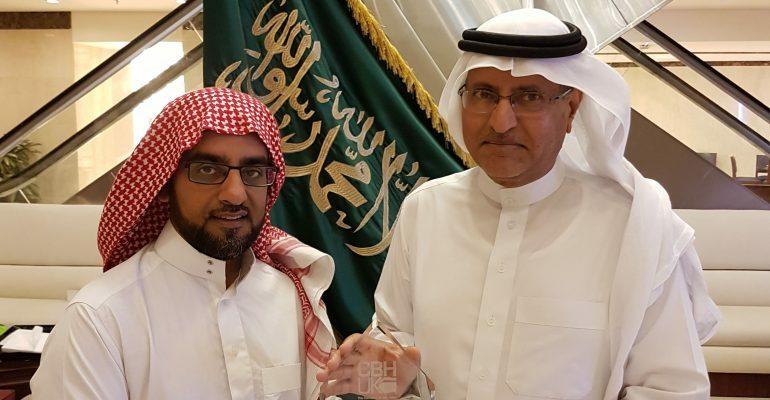 L-R – President of Umm Al-Qura University Dr. Bakri bin M’atooq bin Bakri Assas receives the CBHUK Excellence Award from Dr Meraj Mirza. L-R (Rashid Mogradia handing the award to Prof. Ramze Elzahrany).